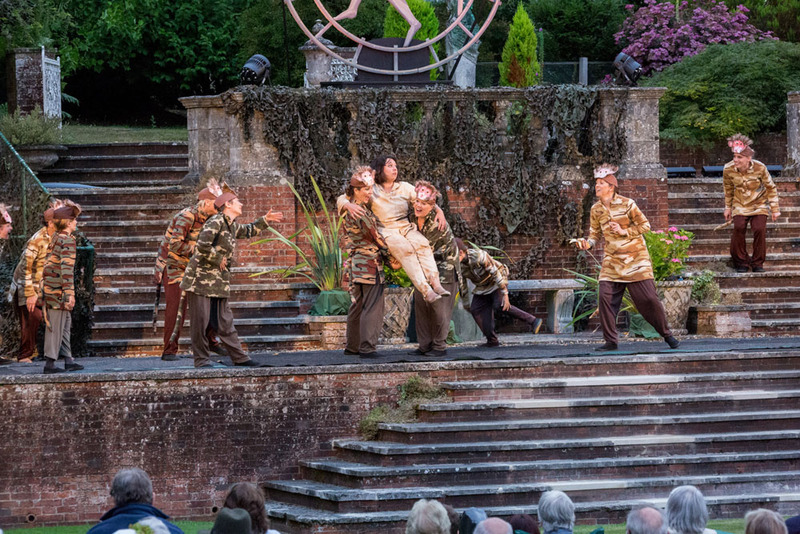 The production will appeal to adults and children alike – so come along, pack a picnic and look forward to a thrilling open-air experience. I must confess to not being exactly sure what to expect as I unfolded my camping chair on the archery lawn at Hamptworth Lodge last night but 2 things had occurred to me: First, this wasn't a Disney production, so I wasn't expecting singing orang-utans or elephants; and second - if there was ever a subject that merited being performed in the open air, it was obviously a story set in a jungle. Nonetheless, I sat down with my coffee, and was thankful that the weather stayed fair (just!) for my evening's entertainment. 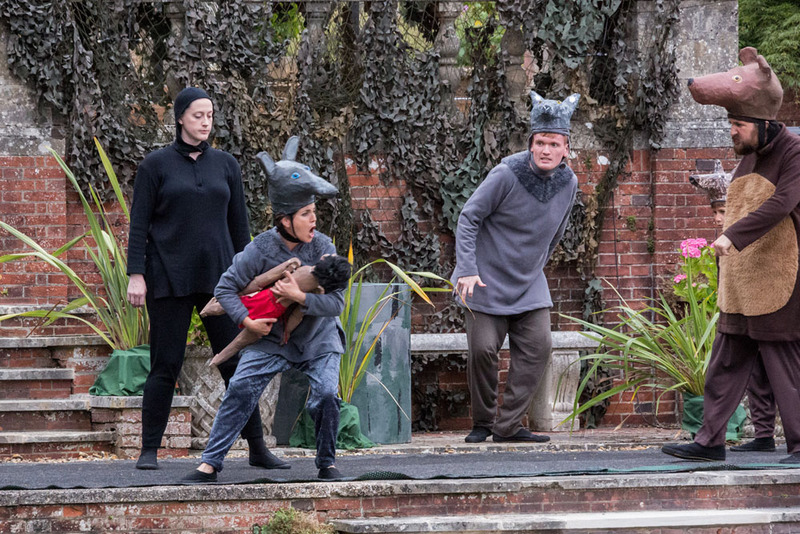 This is a straight re-telling of Rudyard Kipling's story about how the infant Mowgli (Kristina Wilde) was saved from being eaten by the limping, man-eating tiger Shere Khan (William Baggs) and was then raised under the law of the jungle by the wolves Akela (Paul Green) and Raksha (Kate Grundy-Garcia) and their pack. 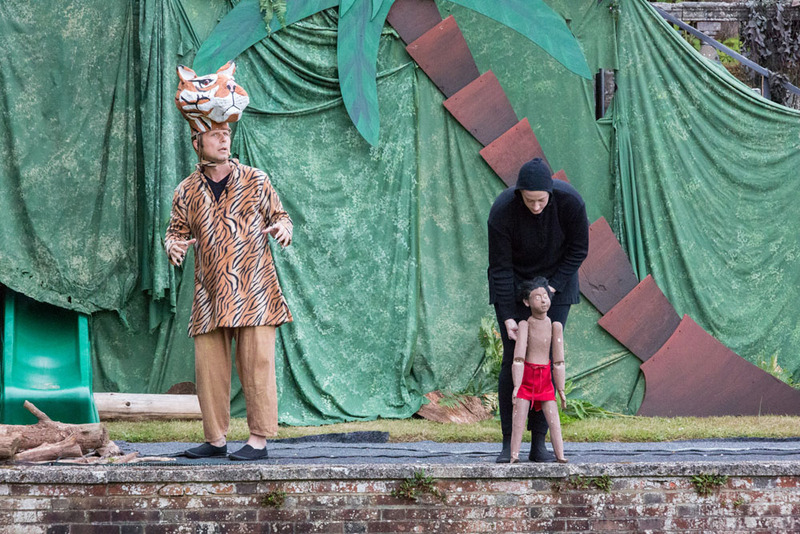 Along the way Mowgli is taught, and also looked after, by Baloo (Adam Taussik) and Bagheera (Marie McDade) through repeated threats from the intimidating tiger and his insane jackal sidekick, Tabaqui (Molly McDade). 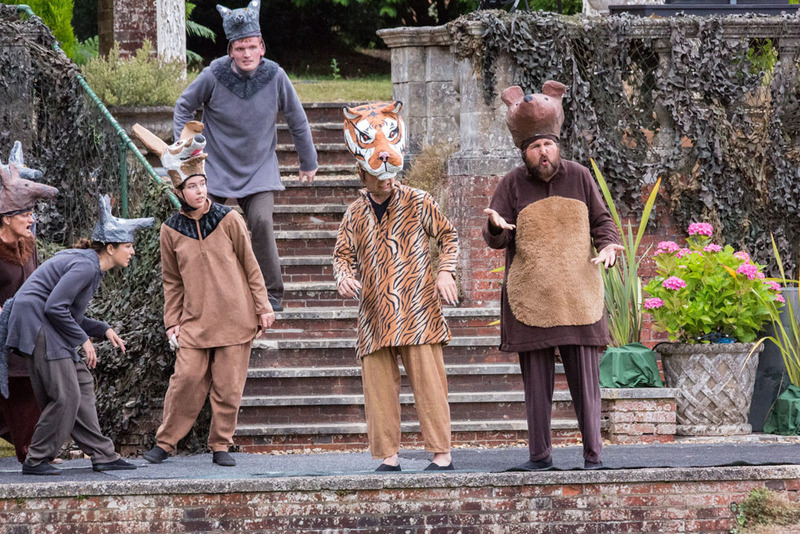 Act 1 concludes with the animals realising that Mowgli will eventually have to return to the world of men to escape Khan, with Act 2 mainly focussing on how being raised in the jungle means that Mowgli isn't really at home in that world either. There were a number of notable elements in this show - the mask work by most of the cast as representations of their characters clearly had a great deal of time spent on them, and obviously helped a number of the cast find their true "inner animals". 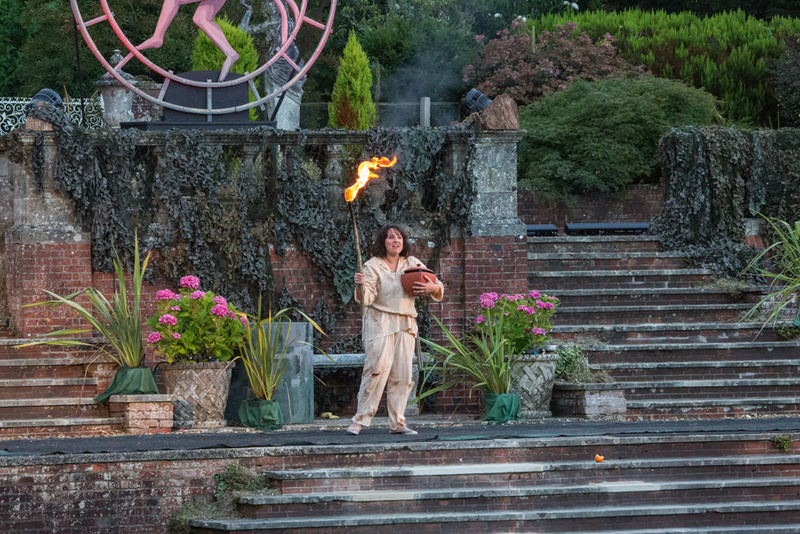 It is also the first show I've seen with flaming firebrands - ie proper fire - on stage, and this is something that probably wouldn't be possible indoors. I noticed William Baggs limping as Khan from the start, but missed the dialogue explaining why Khan did this until it was re-stated at the end. So it wasn't until then that I realised this was deliberate and not a rehearsal injury! 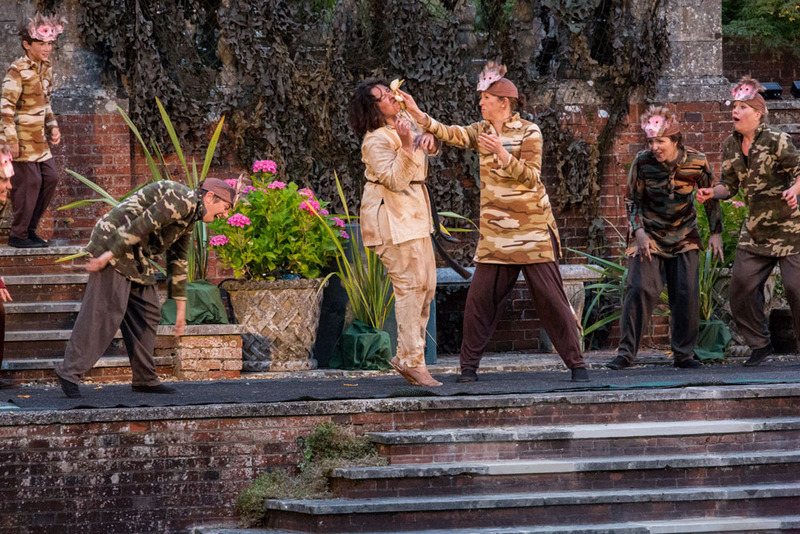 A gentle story well told, with the high points being Kaa (Ruth Kibble) trying to beguile a Pimms from the audience and three monkeys (Jo Fox, Jo Iacovou and Molly Martinson) throwing food at other members of the cast. I would have liked the show to be a little pacier, but that may be a little bit harsh given the constraints of the setting. 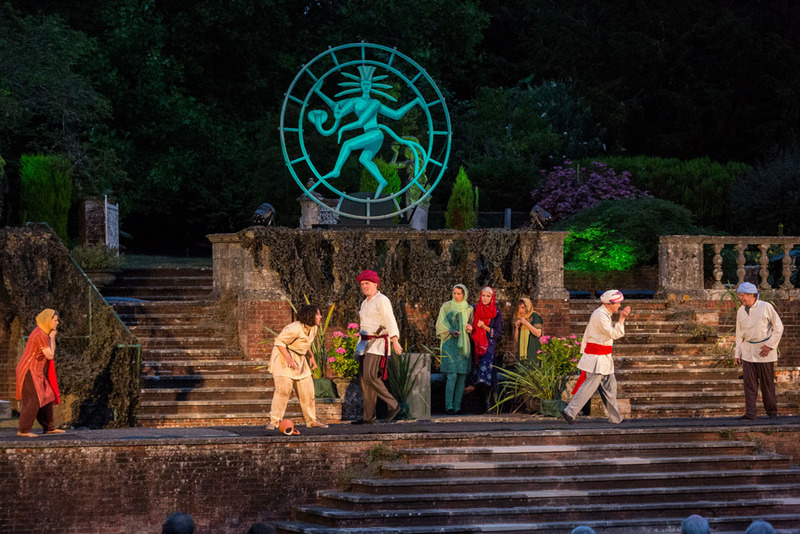 Hamptworth Lodge is a lovely venue for an outdoor show, and the current owners deserve credit for allowing Maskers (and their audiences) to continue using it. Deep in the jungle something stirs…! This is Rudyard Kipling’s jungle of tooth and claw and tells how, by keeping to the Jungle Law, a delicate balance is maintained between the hunting animals. The First Law of the Jungle is never to hunt man. But the mighty Shere Khan, rogue tiger and would-be Lord of the Jungle, has tasted man-flesh and is anxious for more. When a baby he snatches from a local village is rescued by wolves, the delicate balance is tipped. Mowgli grows, part wolf, part boy, sheltered by the jungle animals - until he has to face Shere Khan. If he can survive he has to decide where his future lies - as a wolf or a man? This adaptation of Kipling’s much-loved story definitely isn’t Disney but includes a host of familiar characters from mischievous monkeys to the loveable Baloo. Meri has been a Masker for more years than she cares to remember as actor, director, and just about anything else which needs doing! 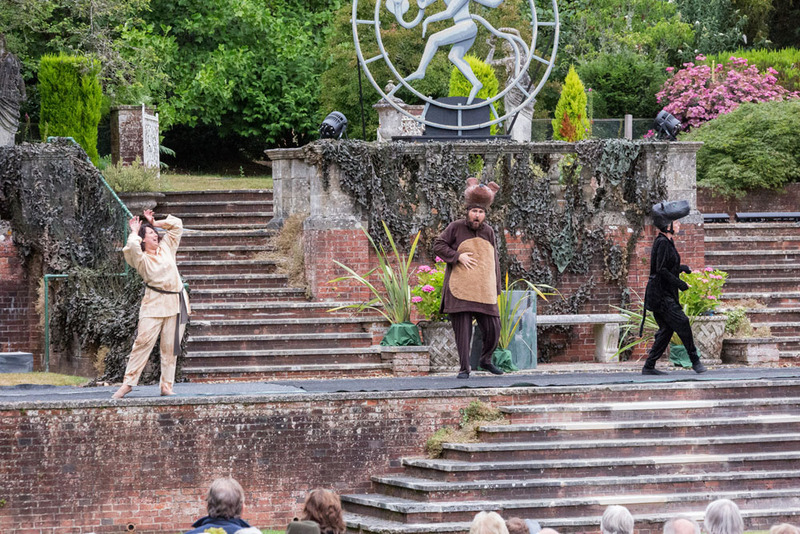 Meri directed Anne Boleyn at Hamptworth two years ago and previously adapted for the open-air and directed Pride and Prejudice for Maskers. She takes enormous pleasure in creating the right atmosphere for a play and helping to bring the characters to life. She is enjoying the challenge of converting a manicured English garden into the Indian jungle! This is Kristina's debut with Maskers. 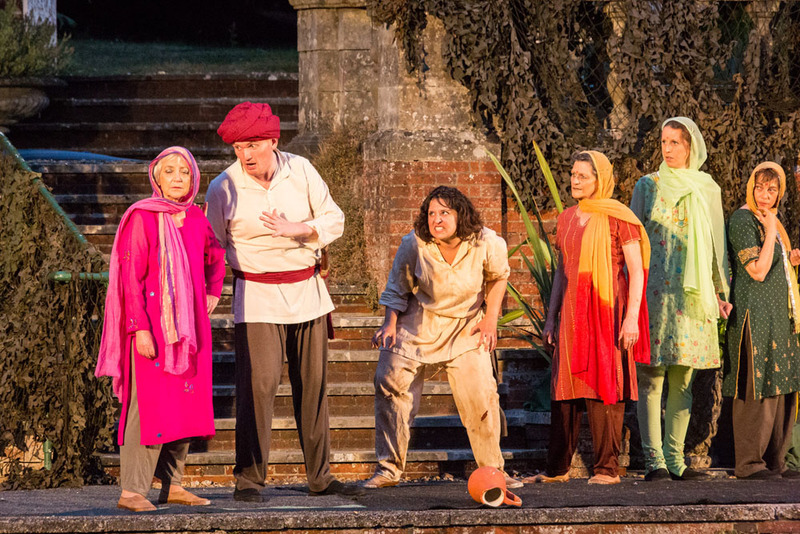 A former Brighton resident, Kristina acted in and directed multiple productions with SUDS, Sussex University's drama society. Past roles include Masha in The Seagull, Paige in Dinner, and Bolingbroke in Richard II. This is not the first time William has played an animal. His first role with Maskers was as Pricklemouse in Can You Hear the Music. 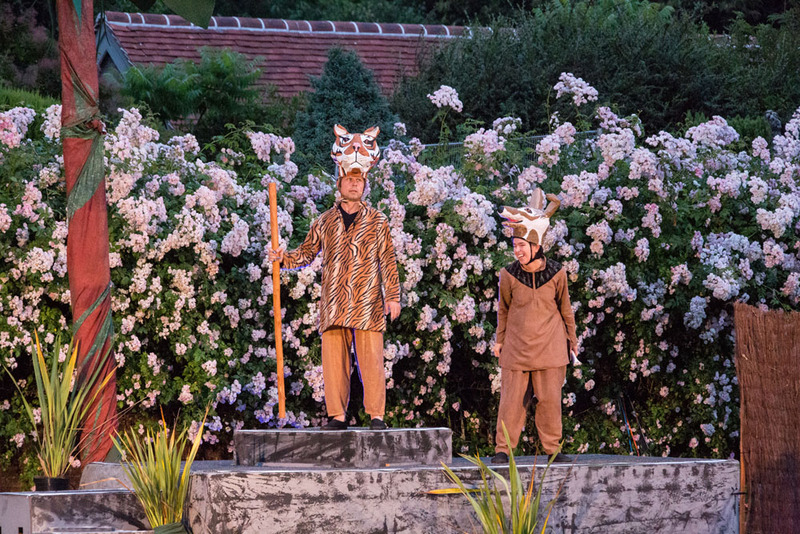 A forest/jungle theme continued in A Midsummer Night's Dream playing Lysander. Although not King of the Jungle, part number three was a monarch: James I in Anne Boleyn. 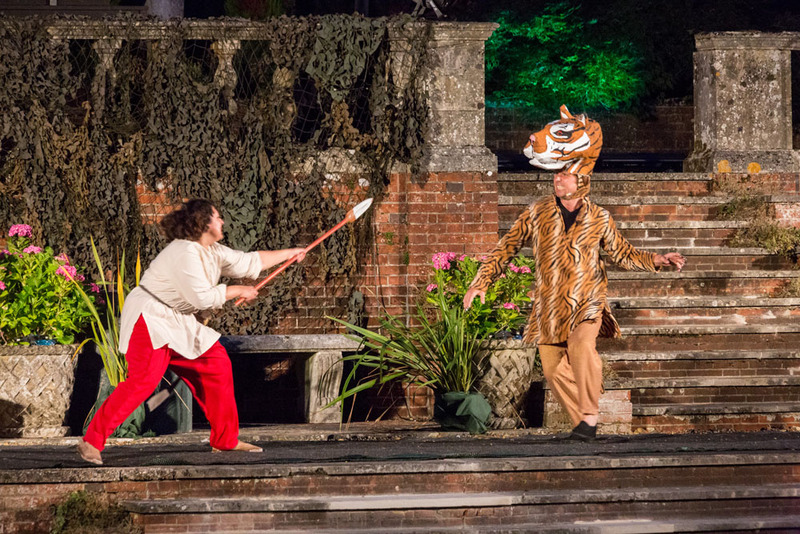 Playing the ineffectual Richard II was a great opportunity to roar at his subjects, but let's hope Shere Khan can do better! Paul has been with Maskers for over three years, but has been acting and directing for over 30. 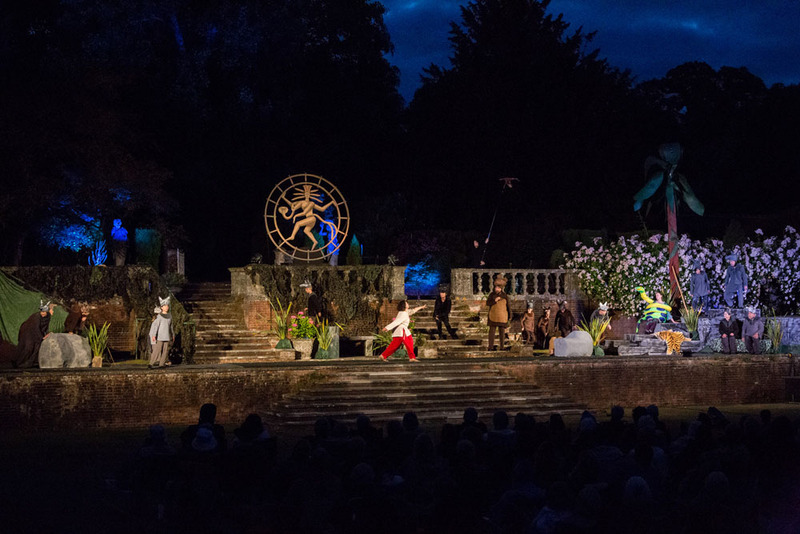 His last outdoor performance was at The Minack Theatre in Cornwall, where he also directed The 39 Steps three years ago. His most recent roles include Brendan in The Weir, Friar Lawrence in Romeo and Juliet and the Italian Waiter in Betrayal. 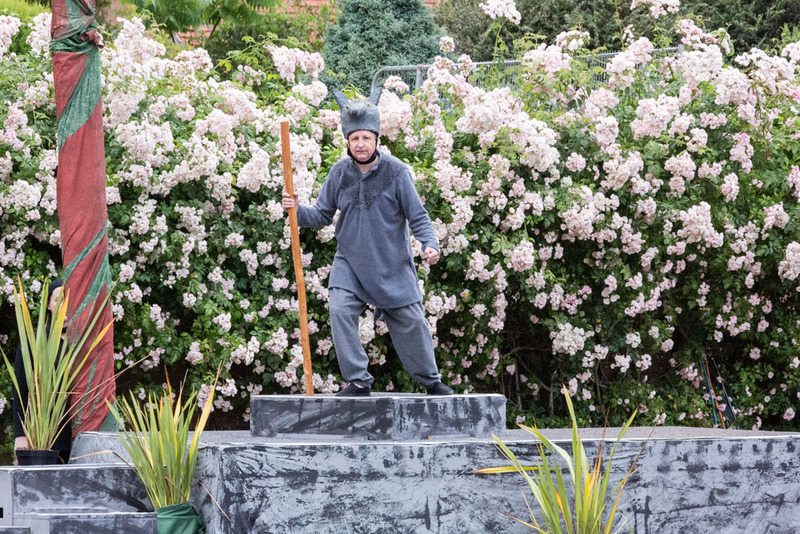 Paul is looking forward to playing Akela the Wolf and showing his "inner animal". Kate has been part of Maskers for many years and has previously been seen in Treasure Island at Hamptworth playing a bloodthirsty pirate. 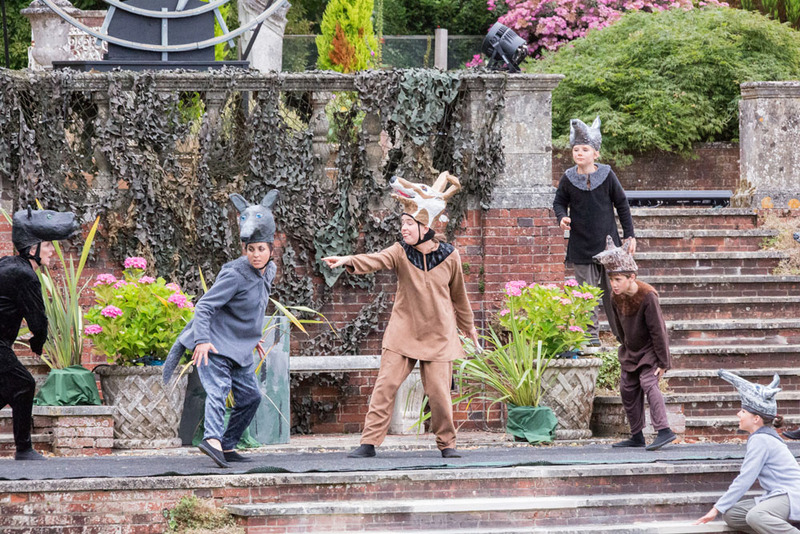 Kate is loving being part of The Jungle Book at Hamptworth and yet again, she is playing Mother Wolf to her own little wolf and real-life daughter, Millie Grundy. Since Adam was the Chief Weasel in Wind in the Willows a few years ago, he has been playing humans for a while, but hard work and dedication (and fortunate casting) has brought him back to the animal kingdom - and perhaps all the hair had something to do with it. When not in furs, he has another life in Student Services at the University of Southampton. Ruth joined Maskers over 10 years ago as a blind witch in Macbeth and is an active member both on and offstage. This will be her fourth production at Hamptworth, having previously wailed sea-shanties in Treasure Island, danced a foxtrot in A Midsummer Night's Dream, and lost her head in the title role of Anne Boleyn. She hopes to hypnotise and beguile you as Kaa the snake...so keep an eye on any tasty-looking children! David is ecstatic to be back at Hamptworth after playing a lurker in Anne Boleyn. He has played General McKenzie in And Then There Were None, rivalled the lords in Richard II, and fought in The Three Musketeers twice in a row (once as Porthos). It makes the warrior Buldeo the perfect role for him. Having enjoyed a long career as an English teacher, Jill has done most of her acting in the classroom! She joined Maskers last summer and has been privileged to work with talented people on two very different shows: the Christmas is A-Comin' and, currently, Richard II. She is delighted to have the opportunity to work on The Jungle Book, to learn about the challenges of outdoor productions - and to get messy helping with the mask making! This is Leah’s fifth show with the Maskers over a 12 year membership, playing anything from Queen Anne Boleyn’s faithful friend Lady Celia to a singing strumpet, but this is a first for her with puppeteering. Leah is really enjoying this summer show and learning new acting techniques for the puppets. Jo has been a Masker since 2007. Recently she played the part of Lady Jane Rochford in 2013's open air production of Anne Boleyn at Hamptworth Lodge. Following this she played Jodie in Sitting Pretty at the Nuffield in January 2014 and Gwendolen in The Importance of Being Earnest at Hamptworth in summer last year. 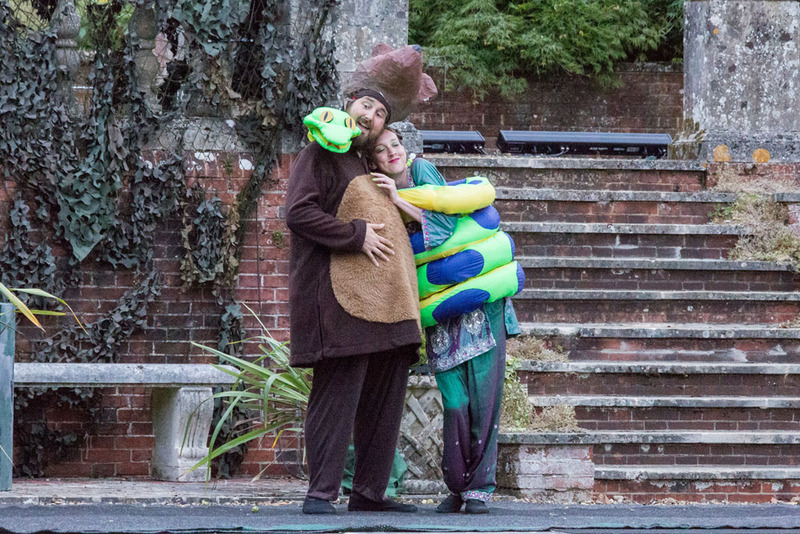 She is looking forward to monkeying around this summer and is having lots of fun rehearsing for The Jungle Book! Joanna has been a member of Maskers for just over 12 years. She has had varying roles over the years, her favourites being Ruby Birtle in J.B. Priestley's When we are Married and Rita in Willy Russel's Educating Rita. In 2014 she had a very successful directorial debut with Thornton Wilder's Our Town which won two Curtain Call awards. 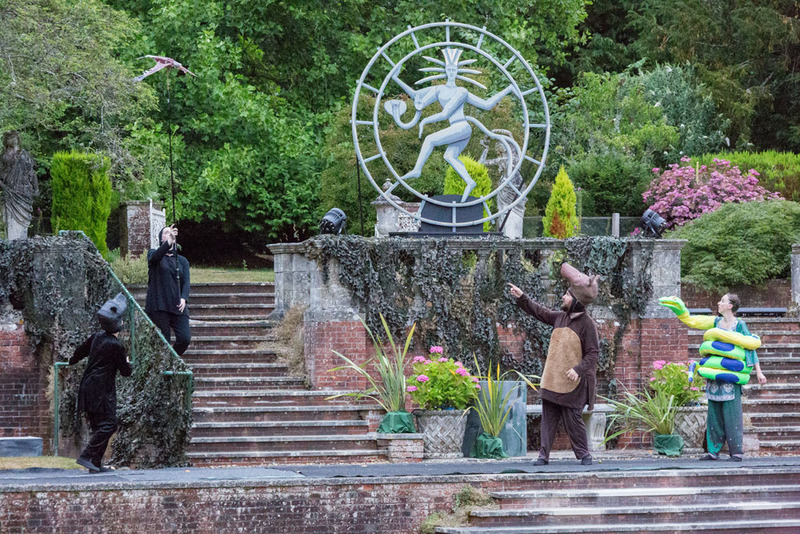 She is keen to direct again but, for now, she's back to monkeying around onstage. This is Molly's second show with Maskers, having previously appeared in Anne Boleyn. Eric started a late acting career with Maskers in A Christmas Charivari in 2012. 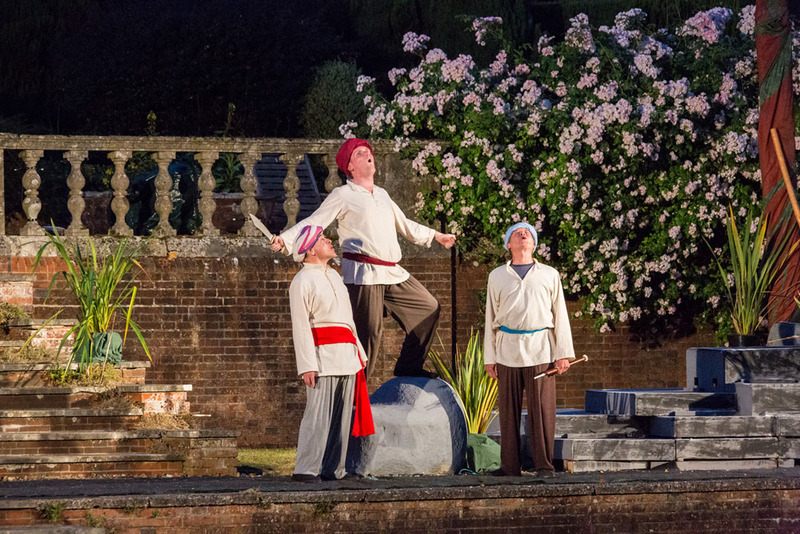 His straight acting roles included the guard in Forward to the Right and Jack in The Weir. He also played James in The 13th Floor and a manic mass murderer in the latest Christmas offering. 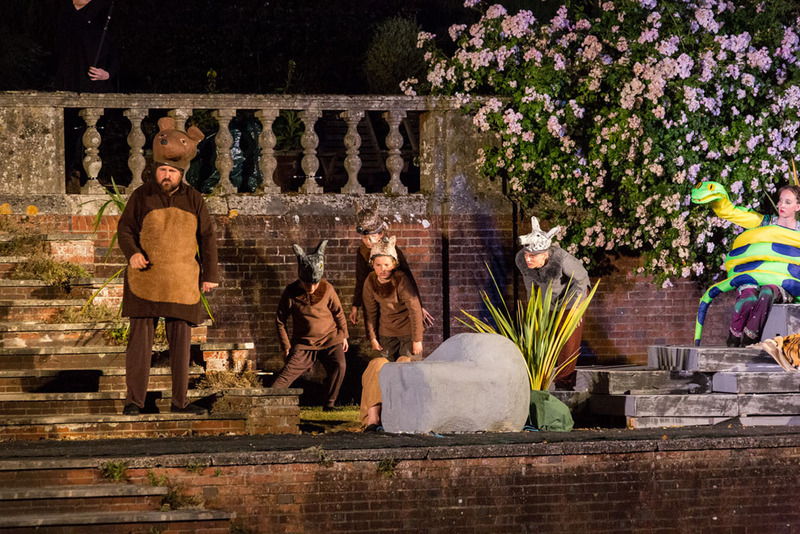 In 2015, he toured with Maskers as John of Gaunt in Richard II. 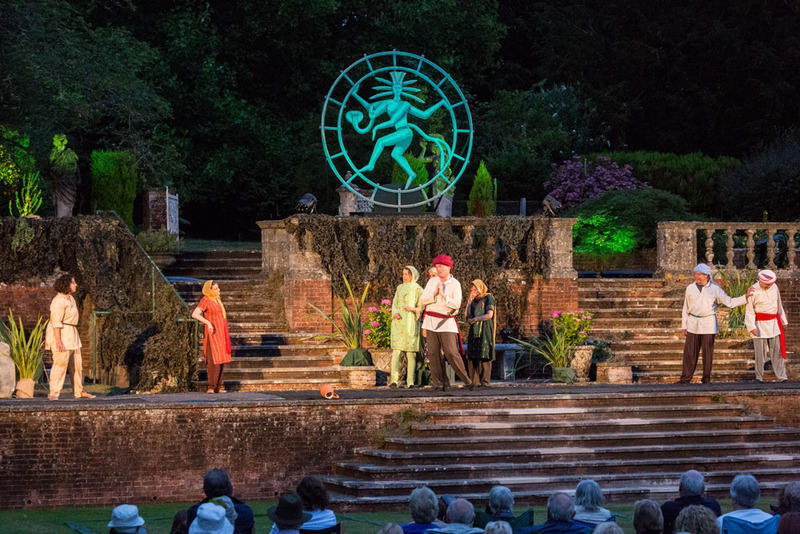 This is his first open air production, and he is looking forward to it greatly. Sue has been a member of Maskers for several years now, and the last production she appeared in was Sitting Pretty at the Nuffield Theatre. She has also acted in Studio productions including a Curtain Call-nominated performance in Contractions. 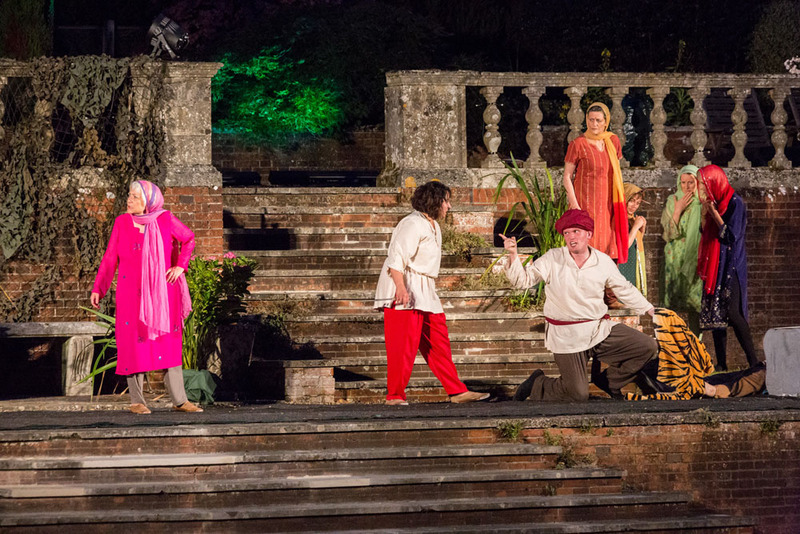 Sue is excited to be performing at Hamptworth for the third time having previously appeared in Treasure Island and Anne Boleyn. This is Donna's third acting role for the Maskers, having played a Lady in Waiting in open air show Anne Boleyn, and Sam Craig in October's studio play Our Town. 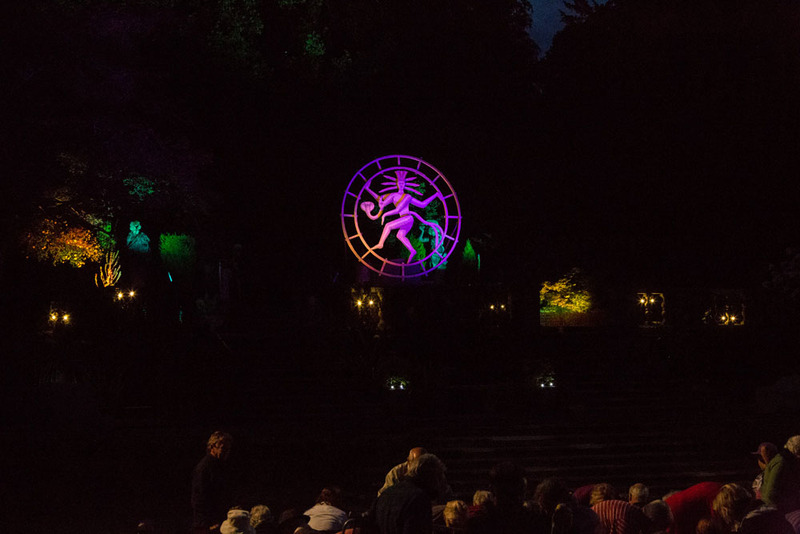 Having trained in dance at university, Donna is really looking forward to the challenge and physicality The Jungle Book will bring, not to mention the fun, fur and fire along the way! 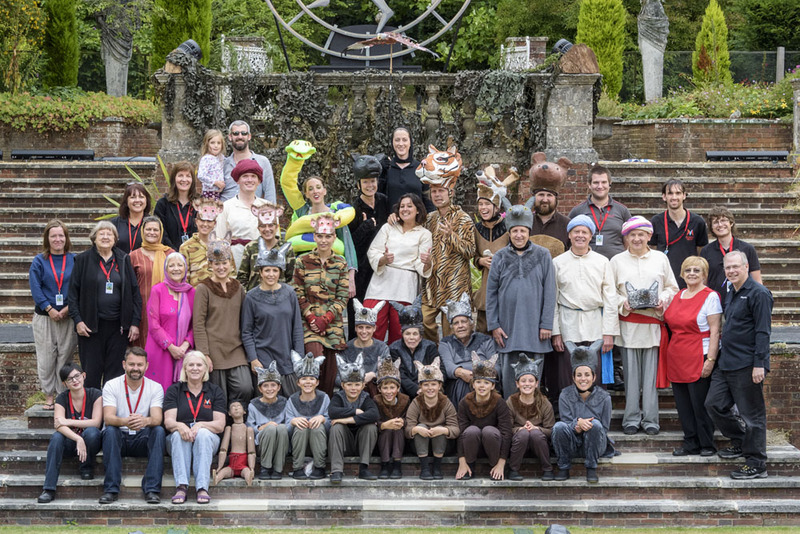 The Jungle Book is Lydia's first production with Maskers. Lydia loves the theatre and – a good few years back – enjoyed performing in shows at school, college, and briefly, the National Youth Theatre. More recently she has been studying at university and working in HR Departments around the country. She is very excited to be joining the Company and to be on the stage again! The Wolf Pack (monkeys/villagers) played by Brenda Atkinson, Bruce Atkinson, Millie Grundy, Hope Hamilton, Michelle Heffer, Poppy Lane, Enya Ryan, Thomas Welch, Elizabeth Russell, William Russell. Family Ticket £45 (2 adults, 2 children 16 and under). Single child ticket £10. Babes in arms free of charge. Patrons are welcome to picnic in the beautiful gardens of Hamptworth Lodge from 6.15pm (1.30pm on Saturday 18th and Sunday 19th July). You are advised to bring low back chairs, rugs etc., as NO SEATING IS PROVIDED. We suggest you also bring jumpers or coats, as it can get cold even on the warmest of evenings. Any decision to cancel a performance due to bad weather will not be taken until the performance start time; patrons may then be offered a ticket for another night.